Eugene, Cascades & Coast Sports Commission demonstrates Lane County’s potential for cutting-edge sporting events. When teams aren’t on the field, they will experience some of Eugene’s beautiful nature scenes such as Diamond Creek Falls. In recent years, Oregon has gained popularity as a travel hotspot due to its breathtaking coastline, wine country and endless outdoor activities. Oregon’s dramatic, ever-changing coast has spectacular viewpoints that invite storm watching, picnicking, whale watching and countless photo opportunities along the way. An adventure-driven destination, Lane County offers the opportunity to hike remarkable waterfalls, gaze upon magnificent ocean cliffs, swim in hidden hot springs and kayak among the region’s ocean inlets. From wildlife sightings and children’s museums to escape rooms and wave pools, Lane County has entertaining activities for all ages to enjoy. Eugene, Cascades & Coast Sports Commission actively seeks out new sports events for Lane County, striving to maintain a database for sports venues, fields and spaces and to uphold the region as a premier destination for sports events. Due to the Sports Commission’s high priority on the region’s sporting events, Lane County offers coaches and sports teams guidance through the planning process with a dedicated staff and cutting-edge sports facilities. One of the most historic track and field venues in the world, University of Oregon’s beloved Hayward Field in Eugene was home to the 1972, 1976, 1980, 2008, 2012 and 2016 U.S. Olympic Track and Field Team Trials competition. Established in 1920 to honor Bill Hayward, the Oregon track and field coach from 1904 to 1947, the venue has a seating capacity of 12,500( expandable to nearly 30,000) spectators and has hosted the NCAA Outdoor Championships more times than any other venue in modern history. Hayward Field is currently under renovations in preparation for the 2021 IAAF World Championships. 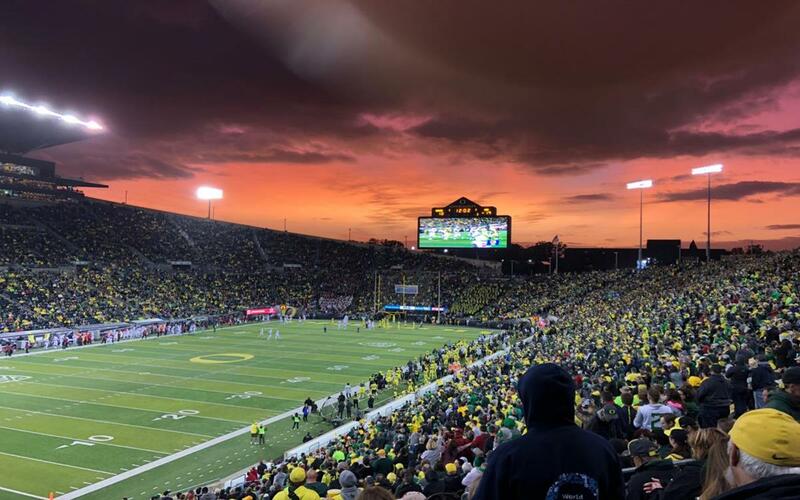 Autzen Stadium in Eugene seats 54,000 spectators and is regularly ranked amongst the nation’s top 10 venues to watch a college football game. With consistent renovations since 1969, Autzen Stadium now features a FieldTurf surface with polyethylene and polypropylene fibers designed to resist extreme temperatures and weather conditions. With the 1981 addition of The Club at Autzen, the facility offers supplementary meeting space and functional surroundings for pre-game activities. 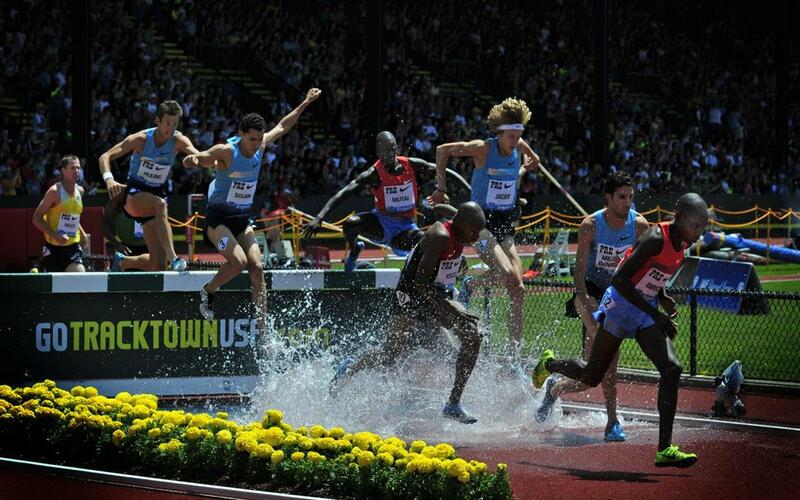 Autzen Stadium has hosted Nitro Circus and the Grateful Dead. Matthew Knight Arena in Eugene opened in 2011 and is one of the first Leadership in Energy and Environmental Design (LEED) Gold certified arenas in the NCAA. This 12,364-seat multi-purpose arena is home to the University of Oregon Ducks basketball and volleyball teams. The venue features a 65,000-pound center hung scoreboard and four 20-by-12-foot high definition LED monitors. Located in Springfield, Bob Keefer Center for Sports is a 97,000-square-foot venue with three regulation-sized basketball courts, four lighted outdoor turf fields, four indoor tennis courts, three roller derby rinks, 11 volleyball courts, eight pickleball courts, a 33-foot high climbing wall and a fitness center. 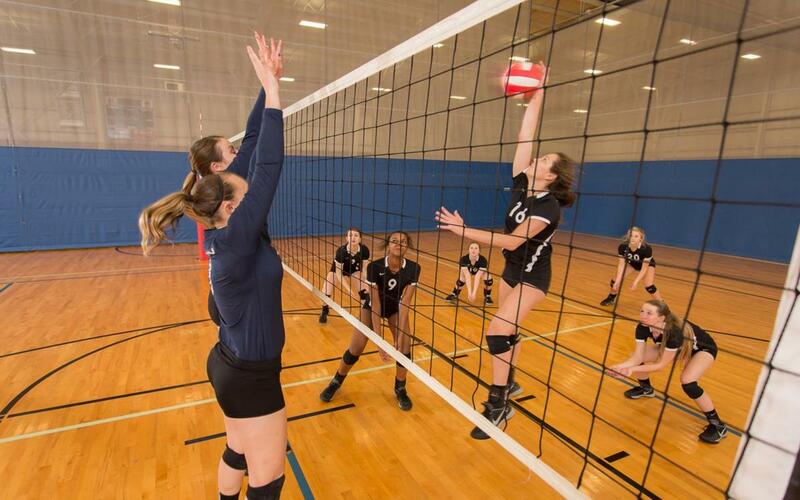 One of the largest sports and recreation facilities in the Northwest, the center can accommodate any type of event, from small games to large scale tournaments. 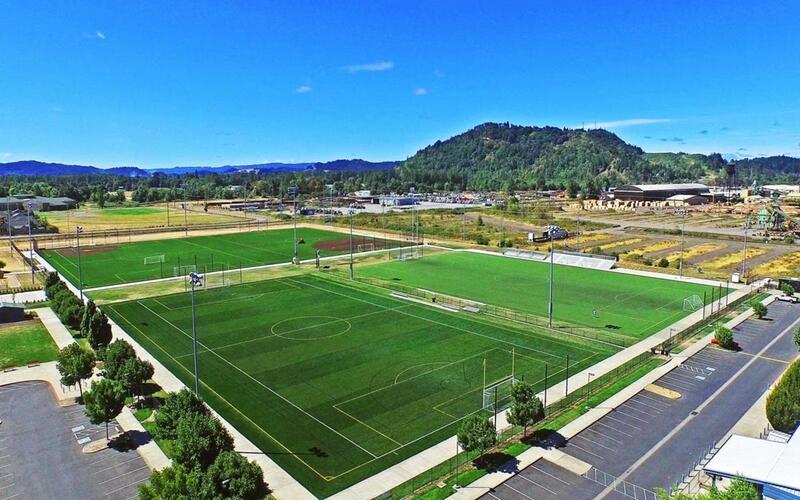 Situated within the previously mentioned Bob Keefer Center for Sports, Les Schwab Sports Park features four lighted multi-use outdoor synthetic turf fields, a playground, picnic area and entry plaza, Bocce ball courts and a 50-space parking lot. The newly renovated entry plaza can accommodate up to four food trucks and serves as a grand entrance for any sporting event. The synthetic turf fields have a combined capacity of 2,000 spectators, with bleachers and field lights as amenities. 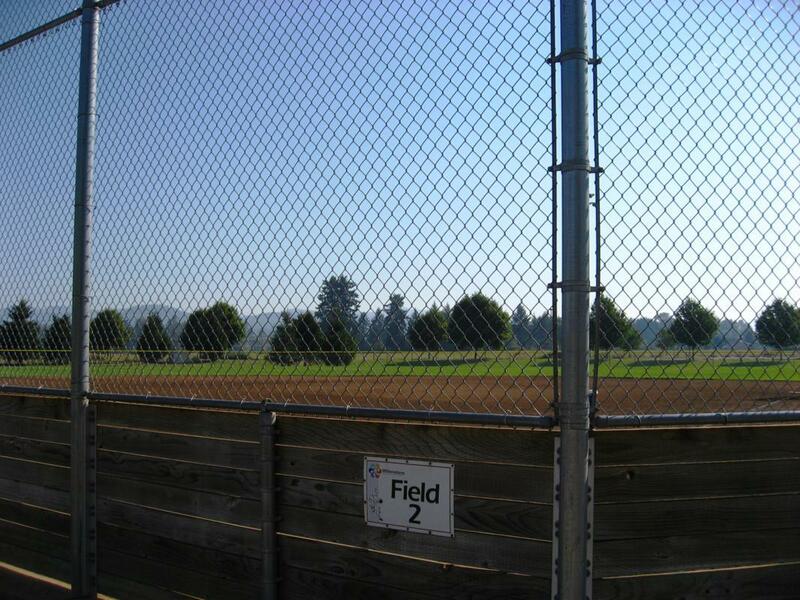 The park’s field turfs can be rented for reasonably priced hourly rates. Bob Artz Park in Springfield is the area’s primary softball field complex and home to the Oregon ASA Regional Girls Softball Tournament. The facility is heavily used by adults and youth throughout the region for both league and tournament play. Containing three lighted turf fields throughout the facility with concessions and a playground, Bob Artz Park also features 11 acres of playing space, on-site restrooms, drinking water, electric outlets, an open-play area and a 200-space parking area with additional bus parking. The park is open seven days a week from 6 a.m. to 11 p.m.; sports teams must make reservations at least 72 hours in advance. Although McArthur Court, also known as “Mac Court,” was replaced in 2011 by Matthew Knight Arena, it served as the former home to the Oregon Ducks’ men’s and women’s basketball teams since 1926. Now a nostalgic piece of history, Mac Court is dedicated for recreational use and is available to rent for various sports events. In 2016, the National Association of Artistic Gymnastics (NAAG) hosted an all-boys meet, piquing the interest of other organizations to host their sporting events at McArthur Court. Lane County’s attraction lies in its plethora of outdoor activities and adventures to partake in. A unique Lane County experience is sandboarding, a board sport like snowboarding or surfing, but on sand. The Oregon Coast has the largest expanse of coastal sand dunes in North America, providing a year-round exhilarating sporting experience for those visiting the region. Another exhilarating sport to indulge in is river rafting. McKenzie River, one of the treasures of the Pacific Northwest, is a classic alpine river high with crystal clear waters and an abundance of dancing rapids, offering a variety of high country expeditions in and around the Eugene, Cascade and Coast region. 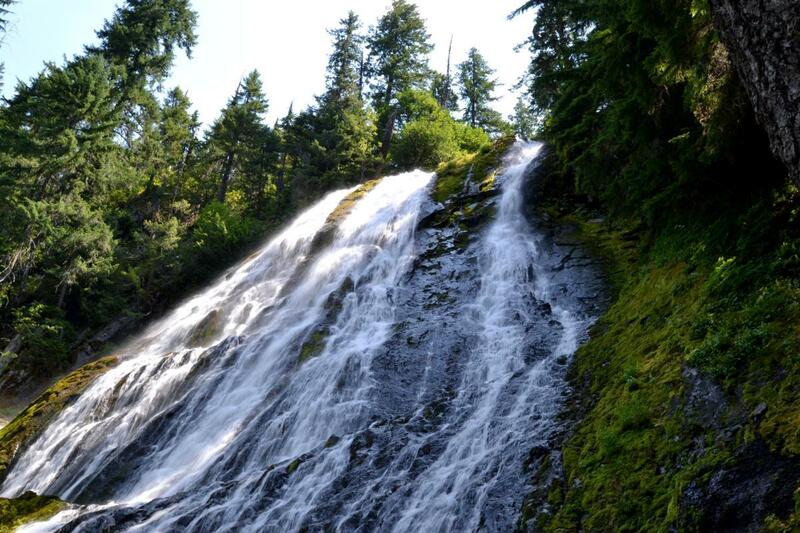 The area is overflowing with waterfalls due to consistent rainfall, allowing group visitors the opportunity to wander through magnificent rivers with luscious waterfalls, such as Proxy Falls, Sweet Creek Falls and Salt Creek Falls. A nature center and wildlife hospital in Eugene specializing in raptor rehabilitation, Cascade Raptor Center has one of the largest collections of native raptor species for visitors to observe in large outdoor aviaries. Skip the sunscreen at Splash! at Lively Park, a year-round indoor waterpark with a wave pool, waterslides, lap pool, spa and kiddie pool. When TrackTown USA plays host to a large sporting event, such as the 2014 IAAF World Junior Championships, or the U.S. Olympic Track & Field Trials, we have come to rely on the expertise and resources of the Sports Commission to ensure that all of our key constituencies have their needs met in terms of accommodations, community outreach and other endeavors. We look forward to more collaborative efforts in the future. By Car:The Eugene-Springfield metro is located directly off Interstate 5, the major freeway system running north and south from Canada to California. By Air:Serviced by Alaska Airlines, Allegiant, American Airlines, Delta and United Airlines, Eugene Airport is the fifth largest airport in the Pacific Northwest.